By a series of self portrait, the director explores with humor and poesy the transformation of her visage with some objects that she holds in her mouth. Chantal duPont has taken part in many international video festivals and individual and group exhibitions in Quebec and abroad. She is the winner of the 2005 Bell Canada Award in video art. Her work is internationally recognized and has received awards in several festivals, including events in Belgium, Colombia, France, Portugal and in Montreal, where she won the Prix à la Création artistique from the Conseil des arts et des lettres du Québec for her video Headstrong. 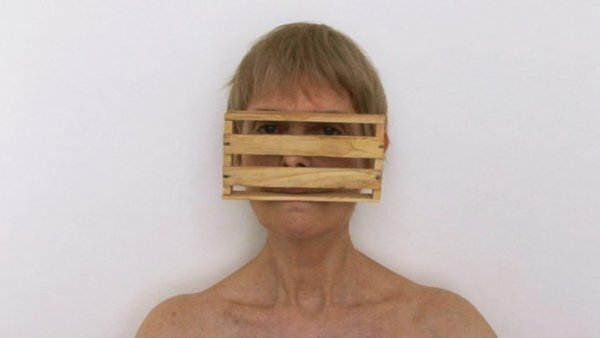 Her work has been the subject of retrospectives in Montreal and abroad, including at the Festival International de Films de Créteil, Optica Gallery and the Ed Video media arts centre in Guelph. Her latest audio and video installation created in collaboration with Madelon Hooykaas and Elsa Stansfied, artists from the Netherlands, was presented in September 2006 in Montreal at Parc La Fontaine. A retrospective of her video work selected by the curator Nicole Gingras is part of the 2007, Festival International des Films sur l'Art de Montréal (FIFA) held in March.